In my last blog, I highlighted the findings of CSG’s recent survey about the growth of smart devices in the home and who will connect them. Here’s what it means for the Pay-TV industry. We’ve heard the projections and perhaps you’re even one of the millions of consumers with a smart device of some kind in your home. Connected devices are growing in number and making everyday tasks like locking doors, turning up the heat and ordering dinner into smarter, more interactive experiences. But differing protocols, connection standards, and setup procedures can make connecting the home a difficult proposition for consumers. CSG’s survey identified a growing consumer desire for support in connecting and managing home automation devices. Survey responses also pointed to a willingness for Pay-TV providers to leverage the technical savvy of their field service teams support the connected home ecosystem. So how can these providers monetize the growing number of connected devices in the home that are likely already connecting over their network? Survey respondents have predicted that professional, technical resources will play a significant role in the future of connected service when it comes to bridging the gap between consumers and technology. According to CSG’s survey, 90% of existing Pay-TV customers would be likely to turn to a Pay-TV provider for this service if offered. Consumers showed interest in technical support after connecting just two devices in the home, so the need may begin as an add-on to a current service call. CSG is already seeing field technicians begin to support things like break-fix-repair requests for iPads and iPhones as well as installation services for high-end television sets in the home and we expect the demand for this capability to grow over the next three to five years. With the growth of IoT devices, Pay-TV providers must consider how they will build on their ability to route, schedule and monitor progress of service orders and prepare today’s field-based technicians for tomorrow’s connected services. As the number of connected devices continues to grow, so do the number of apps that consumers have to manage these devices – I already have 10-12+ apps on my phone just to manage connected devices. While I might be on the high end of the spectrum, it’s becoming a headache for consumers to navigate, manage and request help from these various apps – all of which have different log-ins, user interfaces, management tools, and customer support workflows. According to the survey, an app that centralizes access to the connected home appeals to nearly all (96%) respondents. This includes not just centralizing access to devices, but also centralizing the ability to call for technical support. In fact, when asked about what features consumers would look for in an app when it came to technical support services, the majority of respondents ranked a messaging center that allows the user to communicate directly with the technician as the most important feature, followed closely by a technician tracker which shows the technician’s location and estimated arrival time. Most respondents believe consumers will want to use on-demand installation or repair service a quarter to three-quarters of the time, making dynamic dispatching a critical function to serve the connected consumer. Resource planning and scheduling should be done continuously through the day, allowing for the dynamic dispatch of technicians and resources tied directly to what the IoT ecosystem is telling us. If a connected device needs service, it should alert the resource planning system before the consumer which will enable providers to quickly respond to changing conditions. Technician and contractor management should be flexible and able to define skills of in-house or contract technicians and align an available resource to a customer, house, order, or line of business need. Similar to an Uber on-demand service model, systems should be able to identify an available technician with a specific skill and assign a technician to a job requiring that skill in real-time, much like Uber sending a ride to a passenger who needs it in the moment. Open workflow from multiple types of service requests including customers calls needing a technician for a service support, preventative and predictive maintenance, IoT smart network alerts and omnichannel customer care to ensure customers are kept updated on their service requests and status. Where the request comes from should not matter, so long as a technician with the proper skill can be routed in the most efficient manner. Learn more about how Pay-TV providers can capitalize on the connected home here. Chad – i agree with your thoughts around the need for technician help as it relates to the connected home. Siemens is connecting every new home in the Sterling Ranch development and while they are in the very early stages of building out 15k homes, they already receive calls for help with their automation. i could see them needing a solution like WFX as the volume grows. I also like that we are considering work requests coming from all channels, not just the billing system. 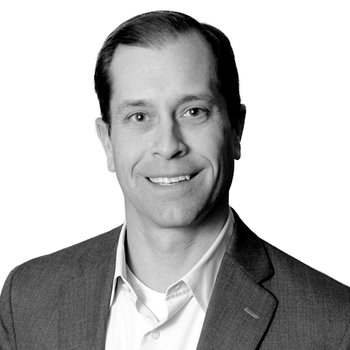 Chad Dunavant is Head of CSG’s Global Product Management team, developing strategy and direction for CSG’s products and service portfolio to meet the current and future needs of a dynamic, global client base.